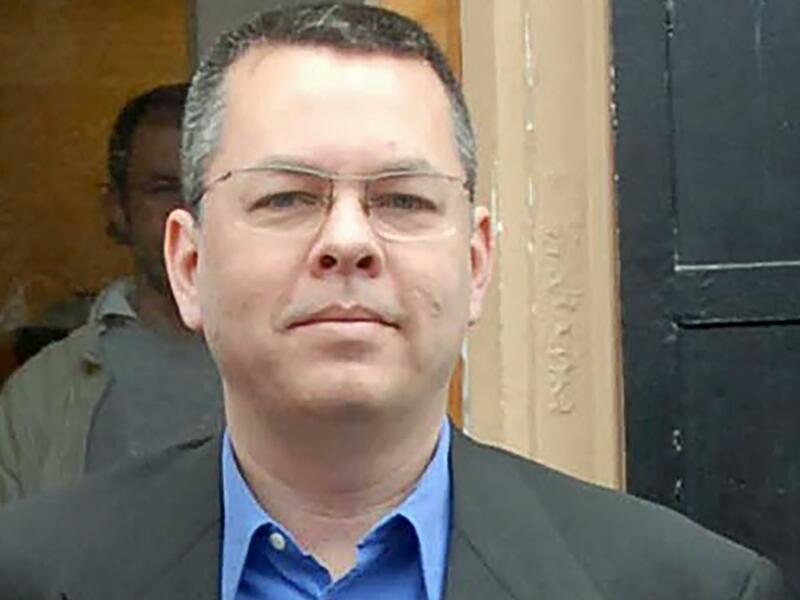 An undated photo shows Andrew Brunson, an American pastor, in Izmir, Turkey. Brunson's trial began Monday on charges of aiding groups said to have orchestrated an attempted coup. The trial of American evangelical pastor Andrew Brunson began Monday in Turkey, accused of aiding groups said to have organized a failed coup there in 2016. The case is further straining relations between the United States and Turkey. The trial is taking place in Aliaga, a town on the Aegean sea north of Izmir. Brunson, 50, is pastor at the Izmir Resurrection Church and has lived in Turkey for more than two decades. He faces up to 35 years in prison. "I've never done something against Turkey. I love Turkey. I've been praying for Turkey for 25 years. I want truth to come out," he said, according to Reuters. "I do not accept the charges mentioned in the indictment. I was never involved in any illegal activities." Originally from Black Mountain, N.C., Brunson was detained in October 2016 in a government crackdown following the attempted military coup. Thousands of Turks were fired from their jobs, detained or arrested as the government sought to punish those it considered loyal to Fethullah Gulen, a Turkish cleric living in Pennsylvania who the government blames for the failed coup, a charge Gulen strenuously denies. "There is evidence that shows Brunson was arrested due to his faith," Brunson's lawyer, Ismail Cem Halavurt, told Reuters before the trial. The BBC reports that Turkey had originally charged Brunson with belonging to Gulen's network and the militant group Kurdistan Workers Party (PKK), but changed the charges before the trial. He now is accused of aiding the groups, but not with being a member. In September, Turkish President Recep Tayyip Erdogan said that if the U.S. wants Brunson freed, it should extradite Gulen. "You have a pastor, too," Erdogan said in a speech, adding, "You give us that one and we'll work with our judiciary and give back yours." U.S. Sen. Thom Tillis, R-N.C., is in Turkey for Brunson's trial, as is Sam Brownback, Trump's ambassador at large for religious freedom. "The United States cares deeply about our relationship with Turkey," Brownback told reporters during a recess, according to Reuters. "That relationship is going to have difficulty moving forward as long as Andrew Brunson is incarcerated." Brunson's daughter, Jacqueline Furnari, told NBC News before the trial began that her father's mood had improved recently, and that he had started to gain back some of the 50 pounds he had lost in detention. "I'm not sure exactly why my dad was chosen," she said. "He's a pawn in a political game between Turkey and the U.S."
She added: "He's done nothing wrong, he's a peaceful loving man, he's a pastor. These charges are absolutely absurd."